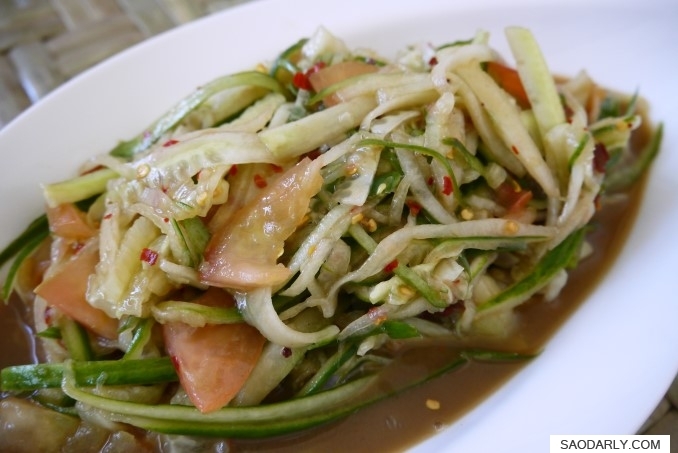 Tam Mak Taeng (Lao Spicy Cucumber Salad) for an afternoon snack. 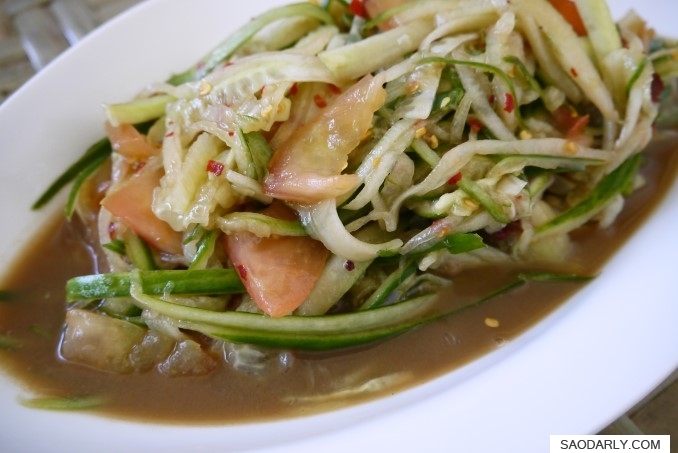 There was no fresh chili pepper in the house and I had to use dried chili pepper in the salad. 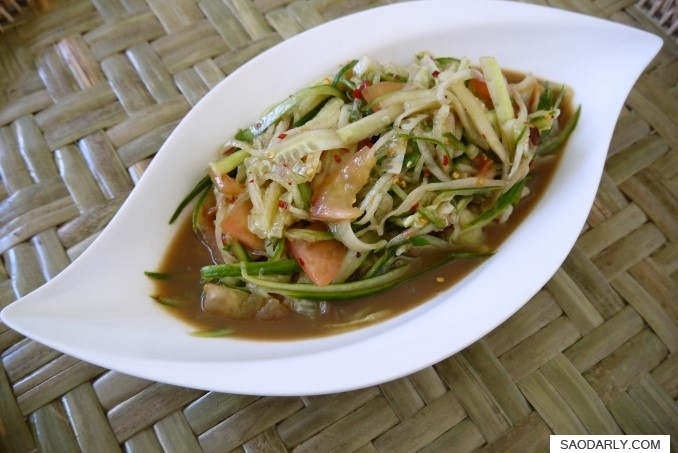 The salad is quite simple to make using shredded cucumber, slices of tomato, and season with chili pepper, sugar, lime juice, fish sauce, shrimp paste, and fermented fish sauce.